OKLAHOMA CITY, Okla. (Dec. 20, 2016) — The Oklahoma Turnpike Authority (OTA) is encouraging drivers to travel carefully during winter weather this holiday season. The OTA works to provide safe travel for all drivers, especially in snowy or icy conditions. Check road conditions and plan your route before heading out on highways. Stay at least 200 feet behind road-clearing equipment; crews need room to maneuver and can begin plowing or spreading materials without notice. The OTA has provided a safety video showing how their snow plows and trucks operate. Allow extra space between vehicles so there is adequate distance for braking in wet and icy conditions. Be aware of “black ice,” which looks wet on the roadway, but is actually a thin layer of ice. Be patient and allow extra time to reach destinations. Save the OTA road conditions hotline to your contacts at 1-877-403-7623. For additional information on turnpike travel conditions, please visit the OTA’s road conditions map at pikepass.com. 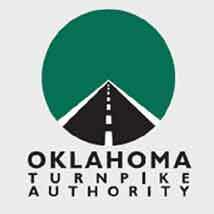 Oklahoma Turnpike Authority was established in 1947 to construct, operate and maintain Oklahoma turnpikes. Today, Oklahoma turnpikes are the safest and quickest ways to travel across the state. Oklahoma Turnpike Authority is managing multiple renovations throughout the state to maintain and operate the turnpike system to the highest standard. To learn more about the Oklahoma Turnpike Authority and recent projects, visit, www.pikepass.com.